The 'Ithaca' series of prints grew from the artist's experience returning to her homeland, Romania for the first time since settling in Australia in 1980. Tomescu was awarded the 1996 LSFA Arts 21 Fellowship, which enabled her to travel to Northern Moldavia, to visit various monasteries that contained extensive 16th and 17th century frescos. She had been reminded of these frescoes, which she had known as a student, watching a documentary on the poetry of Paul Celan, and wished to revisit them. 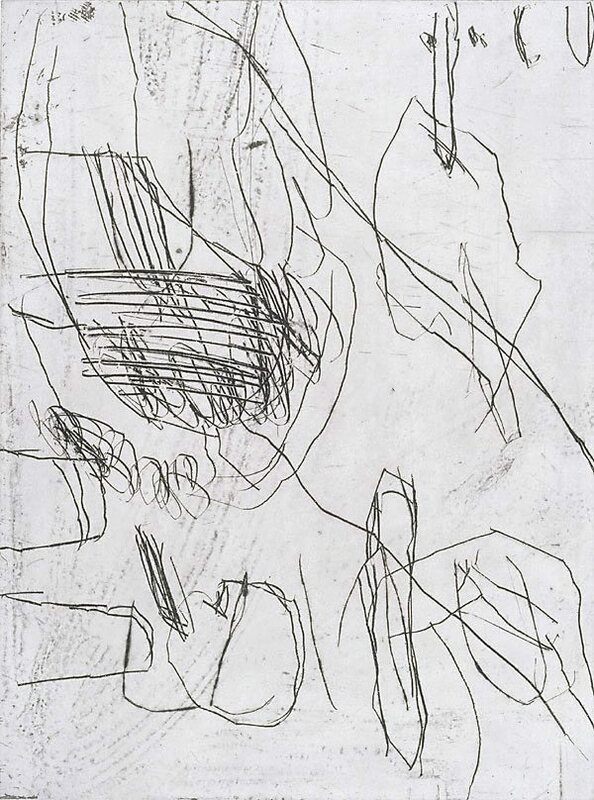 As the series progressed, the lines and mark making became more open and free. She worked on the plates in Sydney initially before they were proofed and the edition was printed, by John Loane in Melbourne. Signed and dated l.r., pencil "A C T ´97".